Cookies! I can't think of a time of year that I would turn down a cookie, but there's something about the holidays that makes me want ALL the cookies! I love the whole process, from baking them to eating them. In the past, my go to cookie recipes, especially around the holidays, have been chocolate chip oatmeal and angeletti cookies, but I thought it might be time for something new. 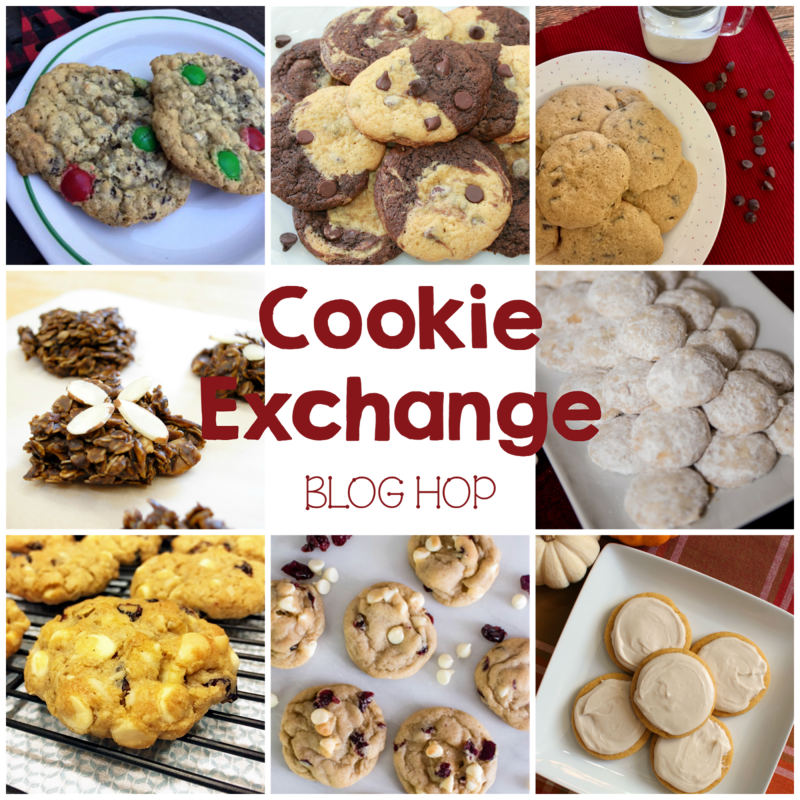 And with Cookie Exchange parties starting next month, I decided to get ahead of the game and start searching for a new favorite recipe. Earlier this year, I made these white chocolate cranberry scones, and I instantly fell in love. Since I loved the flavors so much, I jumped at the time of making something similar, but this time a cookie! These cookies just scream Fall and would be perfect for a Cookie Exchange! The flavor combination is sweet and the dried cranberries make them a little more mature and sophisticated. Enjoy!!! In a large bowl using a hand-held mixer or stand mixer with paddle attachment, beat the butter for 1 minute on medium speed until completely smooth and creamy. Add the brown sugar and granulated sugar and mix on medium high speed until fluffy and light in color. Beat in egg and vanilla on high speed. Scrape down the sides and bottom of the bowl as needed. In a separate bowl, whisk the flour, cornstarch, baking soda and salt together until combined. On low speed, slowly mix into the wet ingredients until combined. The cookie dough will be quite thick. Add the white chocolate chips and dried cranberries mix on low for about 5-10 seconds until evenly disbursed. Cover dough tightly with aluminum foil or plastic wrap and chill for at least 2 hours and up to 2 days. Chilling is mandatory for this cookie dough. Remove cookie dough from the refrigerator and allow to sit at room temperature for 10 minutes (if the cookie dough chilled longer than 2 hours, let it sit at room temperature for about 30 minutes). This makes the cookie dough easier to scoop and roll. Preheat oven to 350F. Line two large baking sheets with parchment paper (or silicone baking mats). Once chilled, the dough might be slightly crumbly, but will come together if you work the dough with your hands as you roll into individual balls. 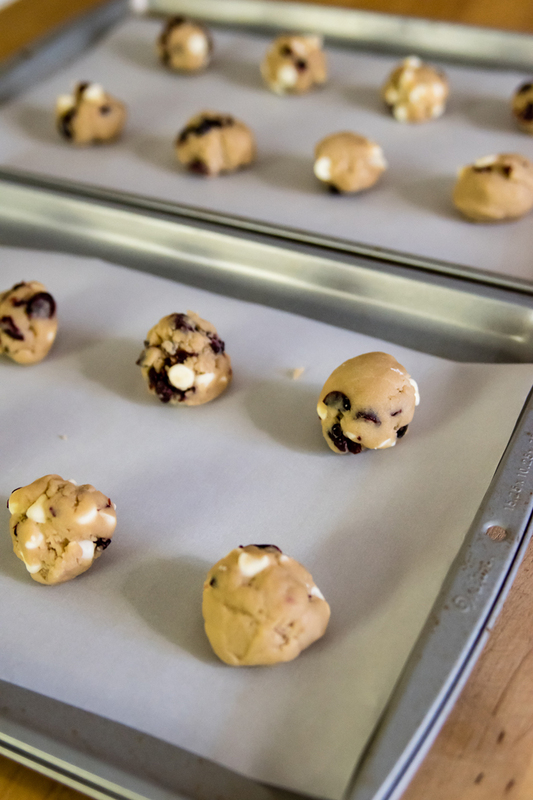 Using a cookie scoop, scoop and roll the dough into balls. I was able to fit 8 cookies on each baking sheet. Bake in batches for 8-10 minutes, until barely golden brown around the edges. They will look extremely soft when you remove them from the oven. Allow to cool for 5 minutes on the cookie sheet. Transfer to cooling rack to cool completely. Not to brag, but these cookies are amazing! And I have to say, I think I might even like them more than the scones that inspired them! 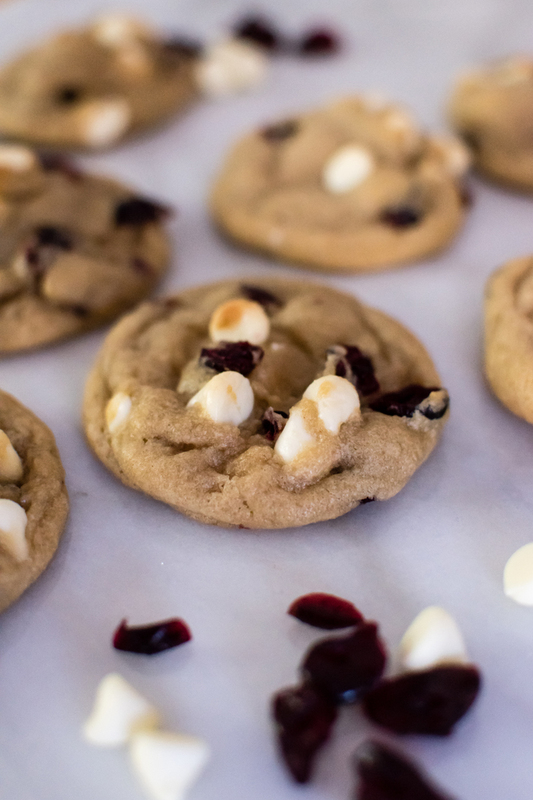 While Noah isn't really a fan of the dried cranberries, he did ask that I make again, with just the white chocolate chips for him. But it was probably for the best that Noah wasn't a fan, it meant there were more for me! I did give some to my parents, but the rest I ate myself, and they were gone way faster than I'd like to admit! So tell me, what's your favorite cookie recipe??? 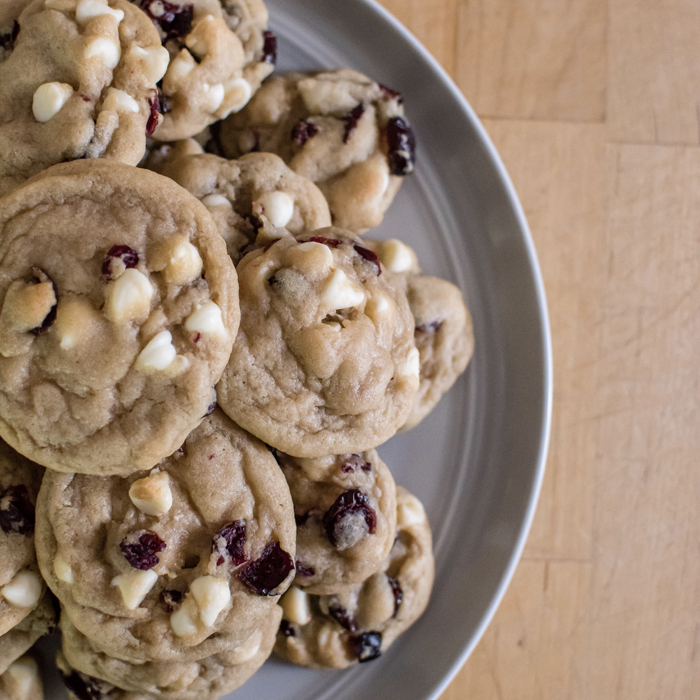 While these White Chocolate Cranberry Cookies are truly amazing, I'm all about variety! That's why I'm so excited to be participating in a Cookie Exchange Blog Hop today where some of my favorite blogging friends are also sharing one of their favorite cookie recipes. 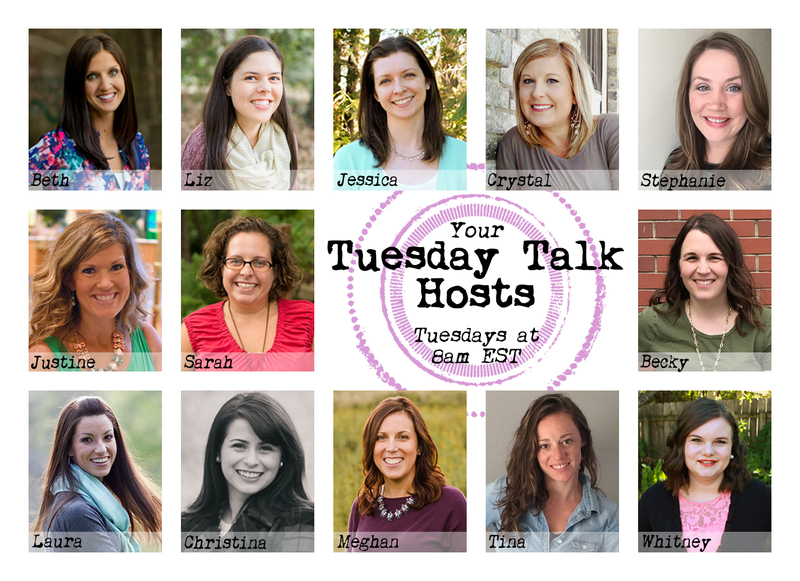 Make sure to check them all out and I'm sure you'll find at least a few that you'll want to make (and eat!) right away! OMG Meghan, those cookies look so delicious. I love that you added cranberries. Such a great holiday twist. We need to try these this holiday season. This is one of my favorite cookie combos, but I rarely make them. So glad you shared this recipe. YUM!!! I didn't realize that we practically made the same cookies until I saw your post just now! How funny. But seriously, how good were they? Mine had macadamia nuts in them and I've run out of those but have been meaning to make another batch sans nuts for WEEKS since I made the original ones. I bet yours are so good too! 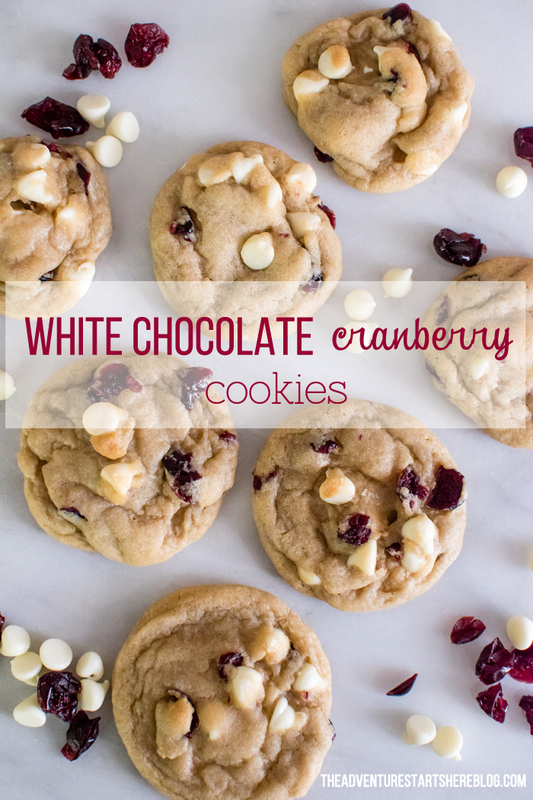 I'm a sucker for cranberry and white chocolate! 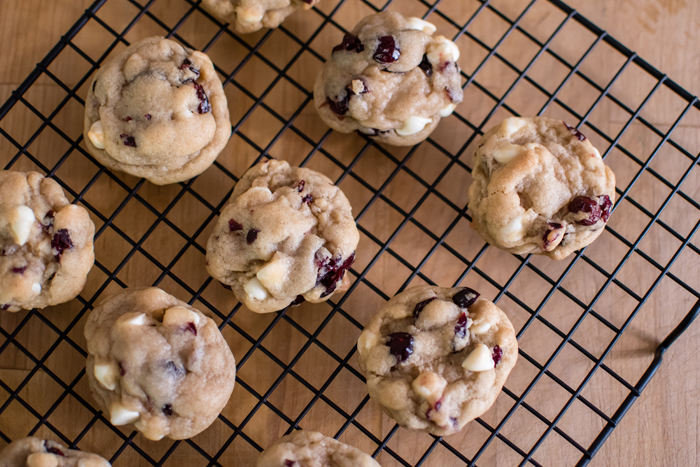 This is the second white chocolate cranberry cookie recipe I've seen today. I think the world is trying to tell me something!!! Ha. 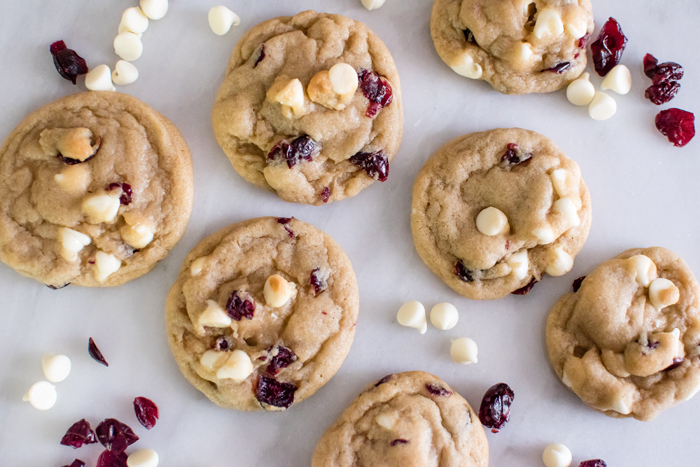 White chocolate and cranberries are one of my favorite combos! These look so amazing, friend! Those are the best looking cookies I've seen in quiet some time. They are actually just really pretty! Just made these for the airmen on base that can't leave for the holidays. Had to sample one of course and now I want to make something different and keep these. They are so dang good!! Some Super Celebrations for a Super 4 Year Old!